Phurbu T. Namgyal, a Tibetan singer/song writer living in Minneapolis, Minnesota, has established a medical social work project to provide free medical support to sick and poor Tibetans in Exile and beyond. Currently the project is solely supported by the money raised from his concerts and donations from family, fans, and friends. This project has directly touched or provided free medical support for 16 sick, elderly, and poor Tibetans since its inception in February 2013. However, the need is even greater. Since the early 1990s, BAFoT has facilitated the immigration of 60 Tibetans to the Bay Area. 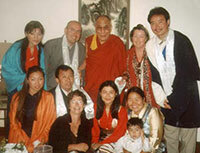 Since that time, BAFoT has helped these Tibetans to reunify with their families. With your help, BAFoT continues to help the Tibetan community with employment and English skills. TECHUNG is a half hour documentary film highlighting the world renowned Tibetan musician, singer and composer, Tashi Dhondup Sharzur and his indomitable spirit in educating Tibetan exile kids and toddlers about our literature and language through songs and music. This film will also explore the conflicting realities of a gifted Tibetan artist who struggles to live a modest life while preserving one of the oldest arts on this planet. With the help of numerous archived images and videos, this film aims to explore the current status of Tibetan arts and culture in exile through an artiste's world. It effectively highlights the complexities and spirits of exile Tibetans in passing down their rich cultural heritage to the younger generation Tibetans who are born and being raised in exile. For more about Tashi Dhondup visit www.techung.com. Our goal is to introduce a formal soccer training program to the female members of the Tibetan refugee community in India in order to improve their quality of life and to foster a connection with female athletes worldwide. The Tibet Post reports on the Tibet Women's Soccer Project, of which the Bay Area Friends of Tibet is the financial sponsor. Read more .. 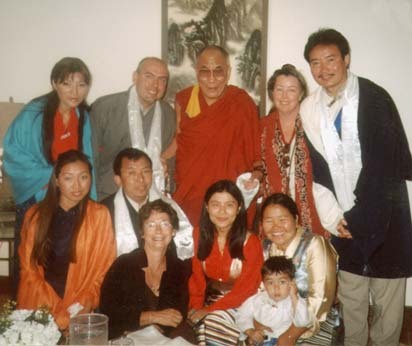 In September 2003 His Holiness the Dalai Lama's guidance included telling us that one of the most important things that the Friends of Tibet can do was to bring the Chinese and Tibetan people together to bridge the gap in understanding about Tibet that exists between them. An adequate health-care system is part of an ethical society. Maintaining good health has been recognized as a prerequisite for optimizing individuals educational potentials. Provision of community health care as a basic need protects against future civil unrest and supports peace. A critical link to the survival of the ancient Tibetan culture is the health of Tibetans.There are approximately 150,000 Tibetan refugees residing across India, with the majority living in the north, northeast and south. Many other Tibetan refugees have taken up residence in Nepal and Bhutan. There are serious inadequacies in infrastructure and access to medicines and healthcare workers among Tibetans and Tibetans-in-exile, including the monastic population. The burden of illness in this society is characterized by diarrheal disease, skin infections, respiratory infections, fevers, and especially among the elderly, joint pains and cardiovascular problems. The rates of tuberculosis are extremely high. Semshae, which means “Songs from the Heart” in Tibetan, is a project to create a new audio recording of Tibetan children’s songs. Many individuals are aware of Tibetan Buddhism’s culture of compassion and nonviolence, but they may not be aware that the continued existence of Tibetan culture is seriously threatened. Through music, Semshae will be able to preserve and distribute a part of Tibet’s culture around the world. It will be beneficial for Tibetan children in Tibet and in exile, and for the Tibetan-speaking regions in the Himalayas such as Nepal, Bhutan, Ladakh and Sikkim who share the same Buddhist language. On 28 December 2009, filmmaker Dhondup Wangchen was sentenced to six years imprisonment for "subversion", following a secret trial in Xining. 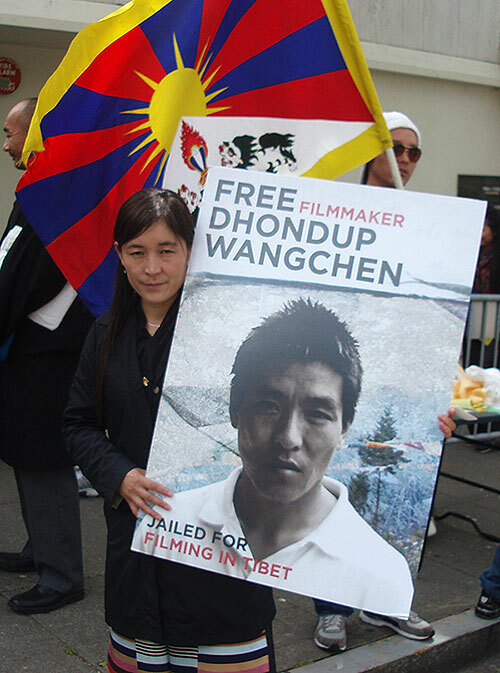 Dhondup Wangchen had been detained shortly after completing filming for a documentary called “Leaving Fear Behind”. His film portrays the actual living conditions in occupied Tibet and features interviews with Tibetans talking about the situation in Tibet.